May 1, 2013, 7:30 P.M. The USC School of Cinematic Arts, John C. Hench Division of Animation & Digital Arts cordially invites you to attend our annual student screening! Presenting 22 new animations reflecting the diversity, innovation, and experimentation of our BA and MFA programs; featuring a wide range of character and experimental animation, merging traditional and new technologies. Admission is free and open to the public. Program starts promptly, with catered reception to follow. 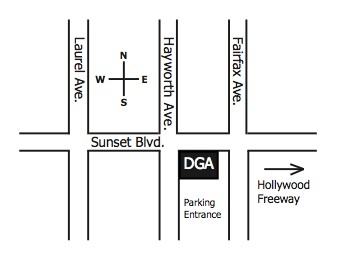 DGA Theater Complex 7920 Sunset Blvd. Los Angeles, CA 900461 block west of Fairfax and Sunset Blvd. (corner of Sunset and Hayworth.) There is ample, secure, underground parking.